Very smart. Good for you. I am not a saint, but over the years I have seen the devastating effects of pot and its long term consequences on many people I know, including our own family. People think it's so safe, but they don't understand it's not for everyone. And now four states approve rec pot use including Colorado where the debate was held. I am afraid for the residents of those states and having to live near people who may not be clear thinking. I am afraid of that, too. Medicinal marijuana, the kind that isn't mind-altering, is - in my opinion - OK for those who need it medically, but recreational drugs are another story entirely. Especially when users get behind the wheel of a car. Never used it, don't care to try it, but I have no problem with medical marijuana..better than some of the other fixes, perhaps. Let's be clear that medical marijuana is the same plant and product as recreational marijuana. That's true. It is the same plant, but I have read (and heard on the news) that the variety suitable for medical applications is a different variety and contains very low levels of the mind-altering chemical. I know two people in intense pain that can't find a solution that works or that they can tolerate, and they have applied for clearance to try it. There are people with painful fatal conditions in that situation, also. Oops - Sorry, everyone. My husband says medical marijuana has the same mind-altering chemical level i.e. Ronni is right. There isn't a variety with lower level. He says I'm thinking of hemp, which is much lower in that chemical. Got them mixed up. Vicki, I do enjoy your blogs and the care you put into precise language, grammar and punctuation. 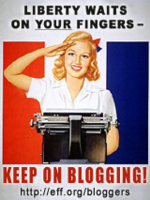 I wish more bloggers, on here and elsewhere, were as careful. I often wonder--don't other people have little red, wavy lines under their mistakes? If not, turn on the controls, please. They are hard to ignore! I have no problem with "medical" marijuana, but I believe it should be dispensed in a pharmacy like any other prescribed (mind altering) medicine not in some little specialty shop. I'm pretty tired of the whole charade. I agree. A pharmacy would be more appropriate, and safer for everyone. Vicki, I have never in my life used any 'recreational pharmaceuticals', and if I'd been in your place at that party, I like to think I'd have had the gumption to do the same thing you did. I applaud you. That said, you may have been placing the blame for Brenda's tragic death where it doesn't belong. Post hoc ergo propter hoc is a logical fallacy. (A rooster crows before dawn, but it doesn't cause the sun to rise.) The causal relationship could easily have been the other way around. Many serious mental illnesses do emerge spontaneously in late adolescence to young adulthood. And they are just that: illnesses. You wouldn't say that because someone didn't have ebola six months ago, they couldn't have died of it now. Brenda's drug experiments might well have been attempts at self-medication for an acute new problem triggered by the stresses of life as a student at UCLA. It's possible, of course, that her drug use made the problem worse, but if so, of the two, I'd be more inclined to blame LSD for that than pot. LSD is far more dangerous. Moreover, you don't know what else she was trying. If she messed with something that was severely addictive (which doesn't describe either pot or LSD), she could have felt she was in such a deep hole she'd never get out. At eighteen, you still aren't old enough to get that Now isn't Forever. She wasn't stupid. She was ignorant about mental illness, because in those days everyone was. Looking back, it's appalling how little was known, and how barbaric some of the standard remedies seem now. My own mother... but that's another story. What's more appalling is that the decades of propaganda mean that we still don't know through any sort of proper scientific studies whether pot, or perhaps others amongst the demonized drugs, may actually be helpful for brain chemistry maladies like depression, bipolar disorder, or schizophrenia. Perhaps Brenda was on to something. Perhaps her drug use did help her. Just, tragically, not enough. You've made some very good points I hadn't thought of, Sylvia. I agree that if drugs were a causative factor, LSD was more likely to have been contributing than pot. And we still don't know whether these drugs could be helpful for certain disorders. There is a lot we just don't know. So sorry about Brenda, whatever the cause. I'm sure at least a few sat in the circle so they wouldn't appear square. So glad Helen had you as a leader to follow. Perhaps your strength kept her as beautiful as ever for a fine future.